Headed of to Eckart this weekend and got my suit. Awesome Freedivers green camo open cell hooded two piece suit. I also picked up my fins (Rob Allen ‘Couta’s”), socks and weight belt, crazy how cheap Eckart is. 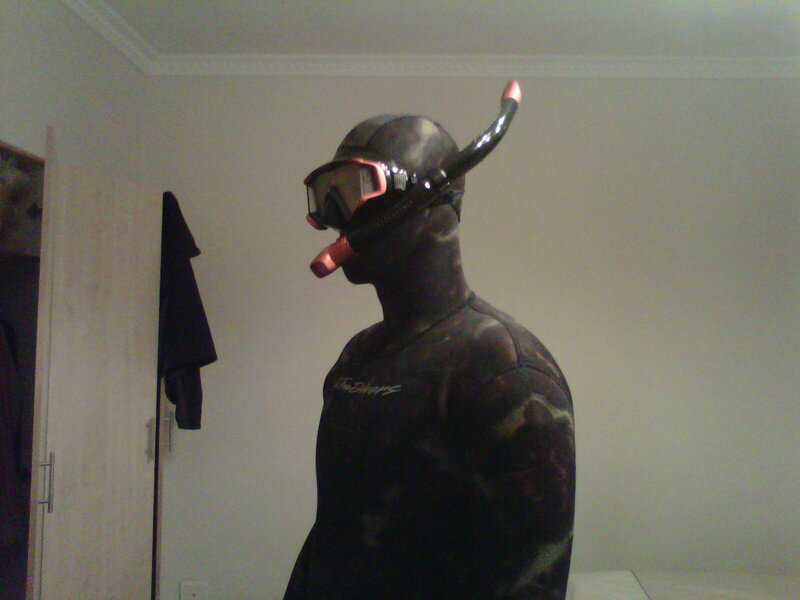 The Mask and snorkel I picked up at a regular dive shop.